As far as I can tell this is a subject that’s only just starting to gather momentum, but from the articles and forums I have read it’s obvious people have been noticing these extremely colourful fish that at only 1-2inches are showing full adult colours and fins. 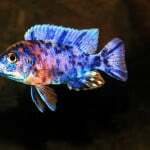 This article is in relation specifically to African Cichlids, particularly the Peacocks (Aulonocara) of Lake Malawi. 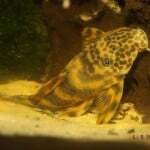 At a glance it’s obvious to see why these fish have become the target of enhancing hormones. African Cichlids are extremely colourful fish and an adult male Peacock is one of the most attractive sights in any home aquarium. So what if you could have a fully coloured fish at the point it’s sold to aquarists? 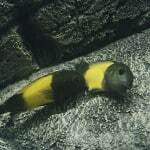 Most LFS sell juveniles at around 1-2inches where naturally it may take months more for the fish to develop full adult colours. This is exactly what the breeders or stores must have thought about when they came up with the idea of adding hormones to these fish. The other point is if you see a batch of juvenile fish with next to no colour on them and in the tank immediately next to it there are a group of juveniles displaying full colour which are you likely to purchase from? The bright colourful fish appear healthier and more attractive so it must be the better option. It makes sense then from a business perspective, they can sell more and probably at a higher profit margin. So, the breeders and LFS make a good return on their stock and you get a beautiful fish with full colour that you didn’t have to wait months for, win-win right? Absolutely not. At best this is an attempt to drive business using misleading methods with somewhat unexpected and hidden downsides, which should definitely be researched into. This is my take on the matter from personal experience. I have had my African Cichlid tank set up for a while now and it has been extremely rewarding. The majority of my fish are Peacocks of Lake Malawi and I first encountered this problem about 2 months after my aquarium was ready. I bought a group of 10 Peacocks in 2 separate orders (from the same store) all at different sizes and all different varieties but to my surprise they all had full adult colours. Some of the fish were around 3inches but the surprise well; the ones at 1-1.5inches were just as colourful as the bigger fish! Adult colours. I thought it was strange but alarm bells really started to ring when these fish started loosing colour after a week or so. All of the 1-1.5inch fish lost colour and returned to what I would consider “normal” for their size and the bigger fish became somewhat faded (which can happen due to dominance). No excuses for the smaller ones though. Aside from the fact that the beautiful colour you see is very much temporary these hormones seemingly had other more adverse effects on the fish. Out of the 10 Peacocks I bought only 5 are still alive and from these the growth has been minimal in the 5-6 months that have followed. The other fish in the tank bought from different sellers are all growing fast and breeding, their colour and behavior is developing over time where as I observe no changes in the peacocks mentioned above. 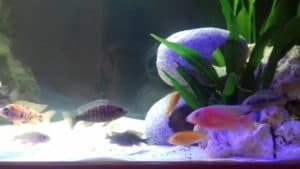 The 5 that died since their purchase, became very weak gradually, coincidence that in the same conditions as the other fish in the aquarium only those that were given hormones died? 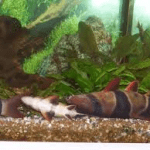 Given these hormones bring out adult male colours; they can hide female fish that are typically dull in colour (black and silver-ish) where as you may not be inclined to buying a female fish in her natural appearance. Of course once the colours fade it’s the same difference. My Ngara Blue though appears healthy is now completely black/silver in colour leading me to believe it’s a female. African Cichlids have a very complex social hierarchy in which there is a dominant individual (usually a male), sub-dominant males and females who all compete for a place on the ranks. 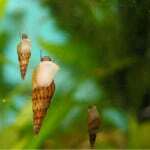 They use their colour and pattern to establish ranks and these hormones will disrupt that natural process. My 10 Peacocks never looked in contention with the other fish, they were almost “ghosts” completely ignored and showed no desire to get involved either, where as the other fish have squabbles and shows of dominance between them. It’s important to state these fish were not necessarily smaller than the other fish in the aquarium during the same period. *All fish had adult colours on arrival – fish were bought in 2 orders in July 2016 (same store). @ = Time after purchase that death occurred. There are stories circulating around the Internet regarding the side effects of enhancing fish, these include anything from the fish having weaker immune systems, growth problems and being generally in poor health compared to other fish. Once the colours of the hormones wear off they may never come back naturally, in fact the chances of the fish surviving till an age they naturally colour up are very slim again going by my experience. Image 2 shows some of the other fish that were enhanced. Notice the faded colour of the red OB, the Stuartgranti Ngara and Aulonocara Hansbaenschi are now both black/silver (bottom middle), the Jacobfrebergi (bottom left) is almost see through from lack of colour. Photo taken roughly a month later. I redecorated the tank in between. So how do you avoid ending up with colour enhanced fish? 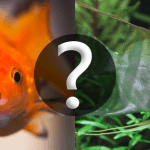 There are methods and tips to consider however when buying your fish in person. If in a tank of say 20 1-2inches Peacock cichlids every single fish is showing adult colours then you should be alarmed. At that size these fish should have next to no colour but a few of the most dominant/larger ones will show faint signs of colouring up. Also in a mix like that there should be females, which will be silver/black in colour. 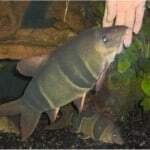 Check to see if any of the fish are lethargic and or showing signs of illness. Get an idea of the store itself; see how they look after their fish, ask what they feed them (a lot of the time the hormones are found in the food given to the fish) and again check for reviews and other people’s experiences. 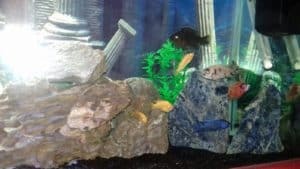 A reputable store will not get their fish from a breeder that hormones them and they certainly would not give hormones to the fish themselves. I have tried to show my own research and experience in the matter using tables and creating a basic case study but I think there should be more studies in the matter. From a business perspective I completely understand and maybe if there were no side effects to the fish it wouldn’t even be an issue but certainly in my case hormones seemed to have a negative effect on the fish in question. Further more by looking online and reading other people’s stories there are cases of similar issues occurring in fish treated in this way. I suppose in a way it’s to fish what steroids is to humans. Doing your due diligence can go a long way in not ending up with hormone enhanced fish! 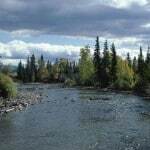 This entry was posted in Articles All, Articles Fish (Freshwater), Articles Fish Health and Disease.